When the so-called “Women of St. Lucia” arrived here 50 years ago Tuesday, it was a landmark event they’ll never forget. Together with the consul general of St. Lucia in Toronto and the island country's former prime minister, they gathered at Toronto city hall to mark the move that changed their lives forever. Catherine Samuel can remember the exact date she came to Canada. It was 50 years ago Tuesday that she arrived here at 22 alone from St. Lucia and determined to carve out a path of her own. Growing up, Samuel was the baby of the family, the youngest of six brothers and six sisters, some of whom called her "a little bit spoiled." Her parents were on the stricter side, she recalls. But while most of her siblings left their home in the eastern Caribbean island for England, "I decided to go another route," Samuel said grinning. It happened that at the time the Canadian government was looking to bring in skilled workers and had just launched the West Indian Domestic Scheme for young women from the Caribbean willing to serve as domestic labourers. After one year in the role, women could apply to sponsor family members to join them. 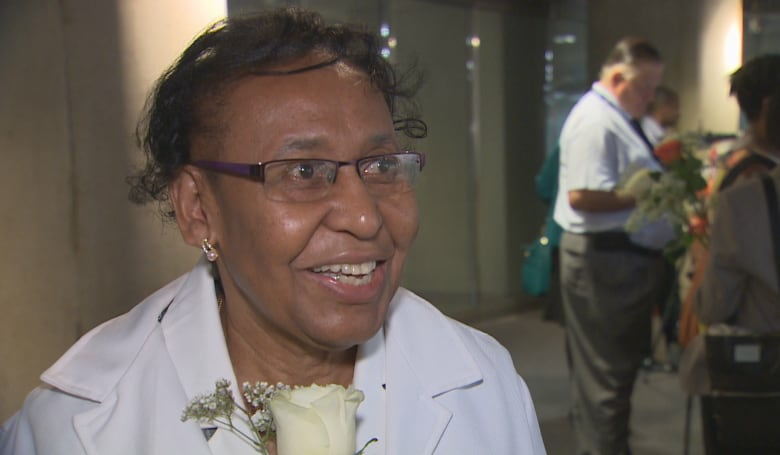 Over the course of the 1950s and 1960s, thousands of skilled workers came to Canada from the Caribbean amid the growing service industry and health and education sectors. But for the so-called "Women of St. Lucia" who arrived here 50 years ago, Tuesday was a milestone they'll never forget. Together with the consul general of St. Lucia in Toronto, Cheryl Francis, and the island country's former prime minister, the Hon. Stephenson King, they gathered at Toronto city hall to mark the move that changed their lives forever. When Samuel heard about the possibility of coming to Canada, she jumped at the chance — a little too early, in fact. "At the time I applied, I was 20 years old. And they told me I would have to come back when I turned 21." She did. Her flight was supposed to be headed to Toronto. But at the last minute, she remembers she was told they would be landing in Calgary. Three weeks in, she wondered if she'd made a mistake. Samuel decided to hop on a bus to Toronto, where she had a single acquaintance — one more than she she had out west. It would be a one-day trip, she was told. Instead, it took four. She finally arrived, swollen feet notwithstanding. "But it didn't cross my mind. All I know is it was something I had to do , and if you put your mind to something you have to do, you don't think of tomorrow." Before long, Samuel fell in love, got married and was the first among the women who immigrated with her to have a Canadian-born child. Three more would follow, something Samuel says is among the things she's most proud of. "You make life what you want it to be. That's the way I look at it," she told CBC Toronto on Tuesday. Agatha Nelson is also a proud Canadian. Nelson arrived in Canada the very same day as Samuel, with just one cousin in Toronto, and set her sights on landing on office job. For much of her first year here, Nelson worked at the home of a doctor who lived on the Bridle Path, looking after their two children. But in her spare time, she took lessons to brush up on her typing. She'd already worked as a secretary and a teacher in St. Lucia and was determined to use her skills to find a good job in Canada. First, she'd have to take a typing test. The immigration department told her they'd call if she'd passed. Within days, the phone rang. 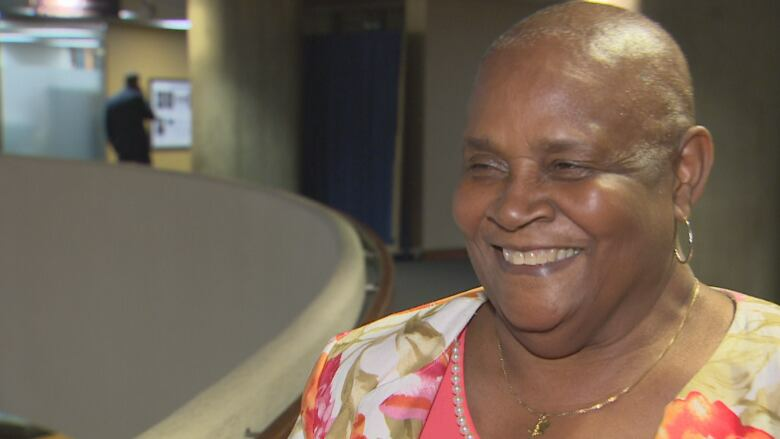 "Thirty-six Adelaide Street East, that's the Revenue Canada office," Nelson told CBC Toronto, her face beaming. "I said, 'Wow.'" "This was my first and only job, for 36 years," said Nelson, who says she rose through the ranks to the role of supervisor before retiring in 2007. And while it wasn't without hard work, she said: "I'm really, really, really proud." Remarking on her 50 years in Canada and the stubborn will that she set out with from St. Lucia, Samuel says she is proud too. "Today we celebrate our journey and our bonds together," Samuel said. "I may not have accomplished richness but I accomplished something, I accomplished me, I accomplished who I am."